Tis the season for dip and chips and snacky things! So, you know that soup mix that comes in a little pouch, that comes in a box? The stuff that we have all used to make onion dip? Yeah, you know the stuff! 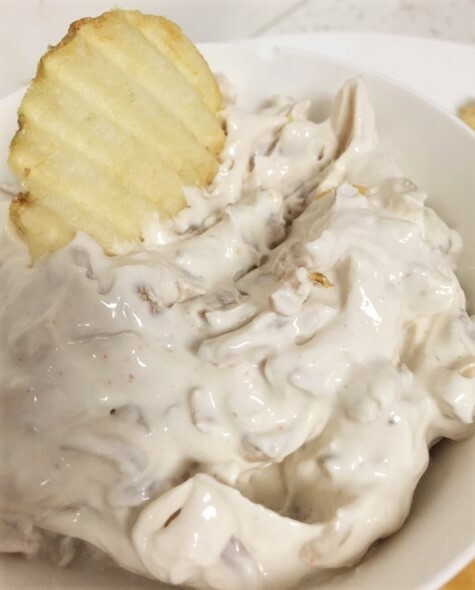 I don’t have it very often, but once in awhile, during the holidays, I do crave that onion dip. Problem is, it is so darned salty. Now, I am not a real salt fan and it’s a good thing too, since I have high blood pressure. That onion soup mix is full of sodium. Take a look at the box and see for yourself. Holy crap! Now, I know it’s easy to rip open a packet of soup mix and quickly make your dip, but why not try making your own? 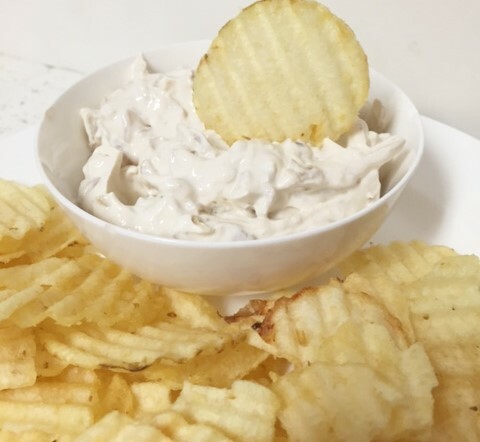 This is one good onion dip and it’s not loaded with salt. You have total control over that! In a sauce pan, melt the butter. Add the onion pieces. 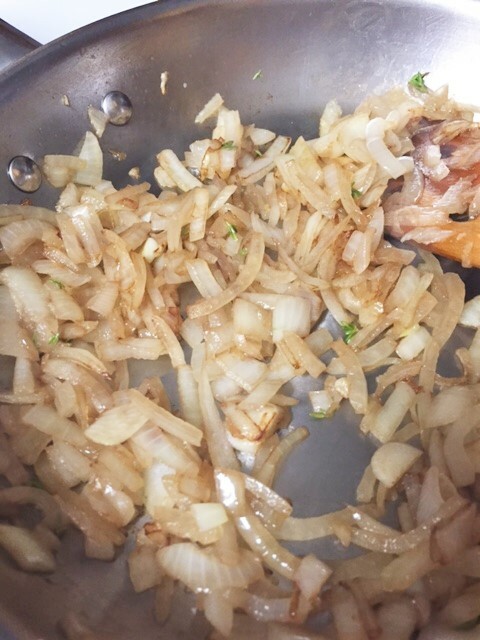 Stir until the onions are softened to the consistency you like. Mix in the garlic. Turn up the heat to allow the onions to get a bit charred. Watch carefully so they don’t burn. Add the cream cheese into the pan, just to allow the cream cheese to soften. Set aside. 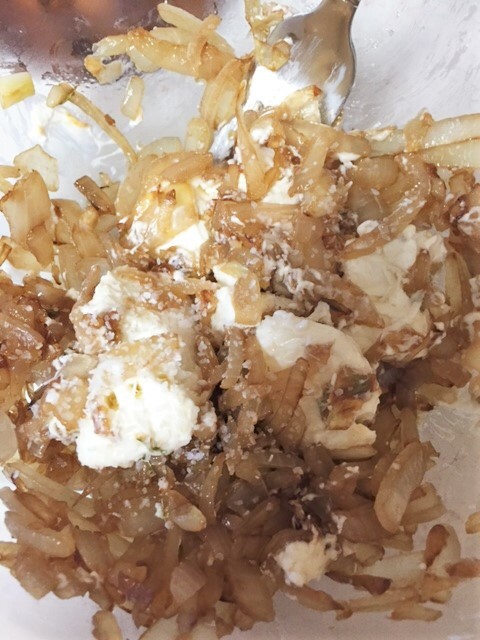 Into a bowl, mix together the sour cream, chives, Worcestershire sauce, bouillon cube and cayenne. Add the onion and cream cheese. Salt to taste. Cover and chill for several hours or overnight if you can wait.